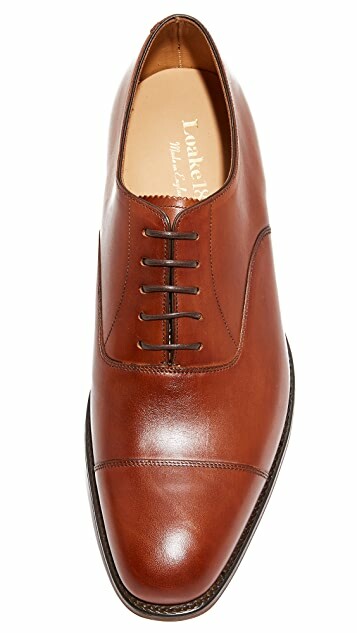 Traditional Loake 1880 oxfords, handcrafted in England from smooth leather. 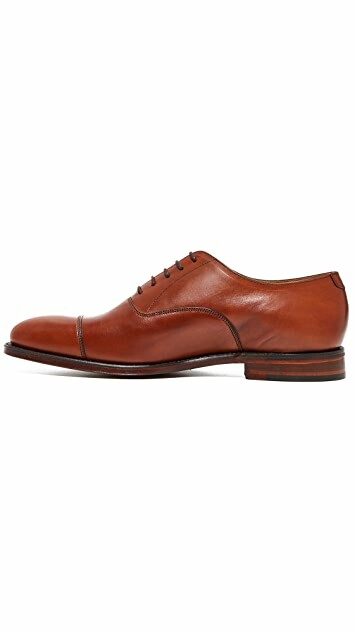 Cap-toe design with a slightly tapered profile. 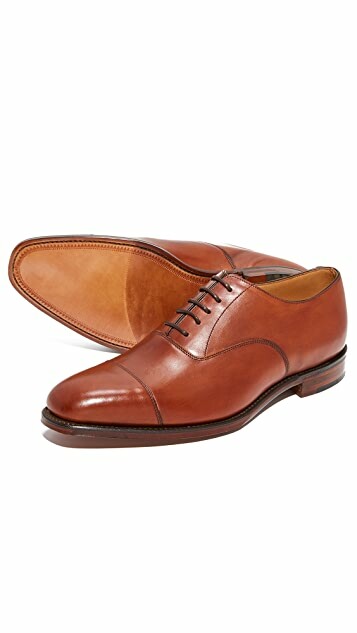 Leather sock liner. 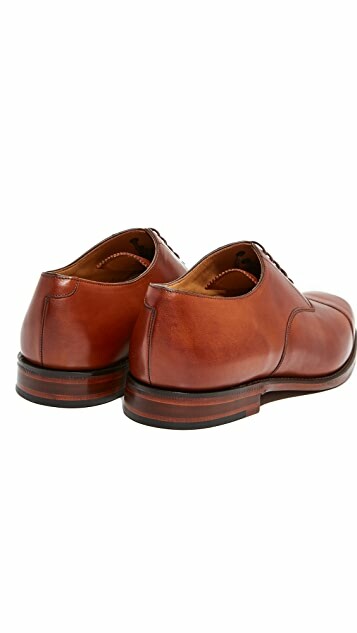 Goodyear welted to a leather sole and stacked rubber-tipped heel.